Hardy Services has plumbers available 24 hours a day. When you call in with an issue, you will be prompted to speak to a the Hardy Services plumber on call. They will work with you to resolve your issues. Hardy Services is certified to test and maintain your buildings backflow devices. 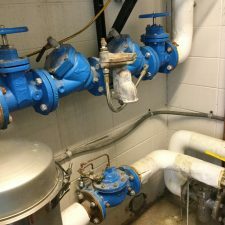 When you receive a notice from the water works concerning your building’s backflow devices, Hardy Services will perform the testing or replacing of the valve and handle the paperwork to satisfy the water works requirements. Hardy Services can repair or replace your building’s drainage pump systems. Whether it is a sump pump, sewer ejector pump or lift station, Hardy Services can spec the correct pump for any application. Hardy Services is setup to service the drains inside and outside your building. Whether it is a sink, toilet, or a main sewer line, our drain machines can get the line clear and get you back up and running. We can also repair or replace drain lines behind walls, above ceilings, under concrete and underground. 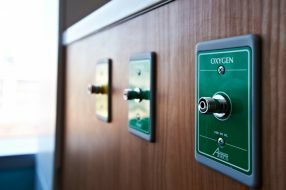 Hardy Services can install and service any grease trap or interceptor in your commercial kitchen. Hardy Services can install or service your tankless water heater system. We can also retrofit your existing tank water heater to a tankless system. 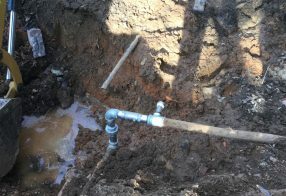 Hardy Services has NITC certified brazers to install piping for medical gas systems. Hardy Services offers sewer and drain camera service up to 150′. Our camera is high definition and is able to precisely locate the problem areas in your drain line that need attention. We can also make recordings of our findings and email them to our customers. Hardy Services can install or service your existing gas or electric water heater. 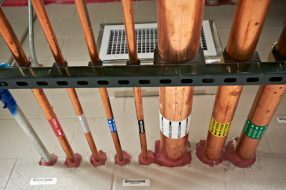 Hardy Services can repair water leaks in or around your building. Have you noticed wet spots on your floor, ceiling, grounds, or noticed a spike in your water bill? Hardy Services can repair or replace dripping faucets, running toilets, and leaks on drain pipes. Hardy Services is certified to handle your facility’s natural gas systems and appliances. Whether it is repairs or an addition to an existing system, we can help. Our services for gas include leak detection, repair, addition, threading, fitting, and welding. 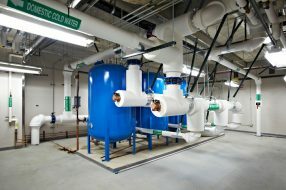 We have the resources and expertise to help with all of your commercial plumbing needs. Contact us online or by phone at (205) 591-5683 for service or for more information.